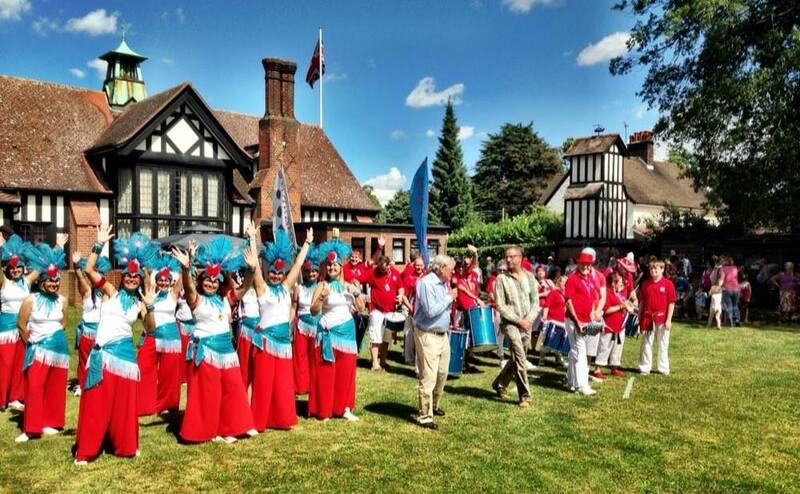 We’re the Suffolk School of Samba. 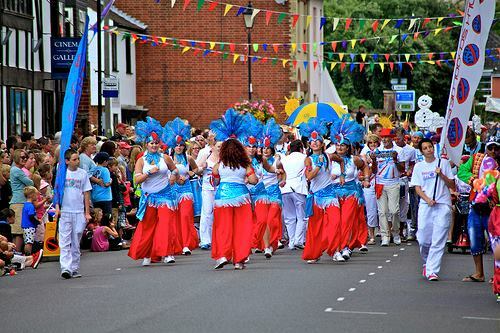 We perform music and dance inspired by Brazil, Cuba, Africa and our home town of Ipswich. 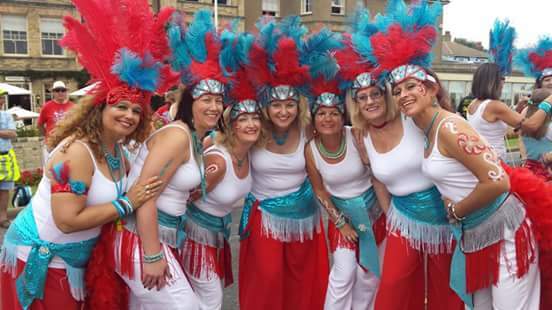 We are proud to be the original samba group in the region, getting started in 1994. 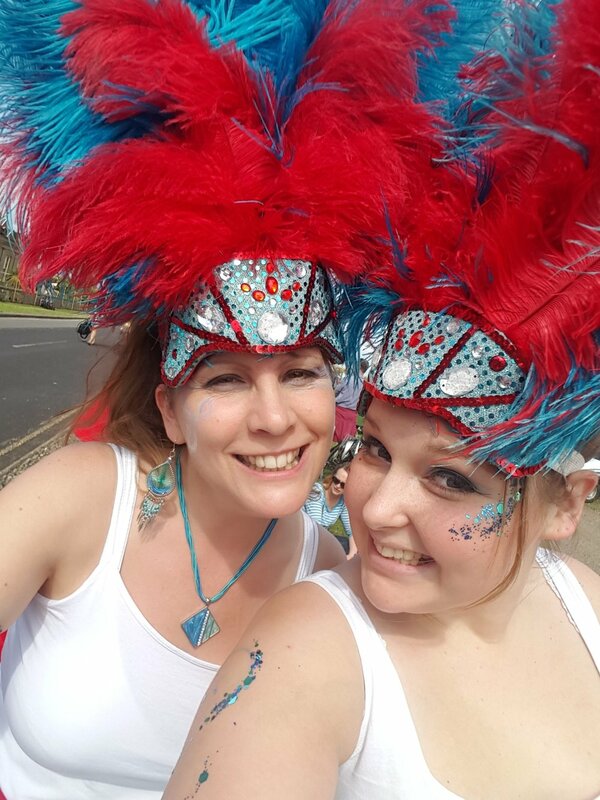 We’ve taught and performed to thousands of people at hundreds of events. 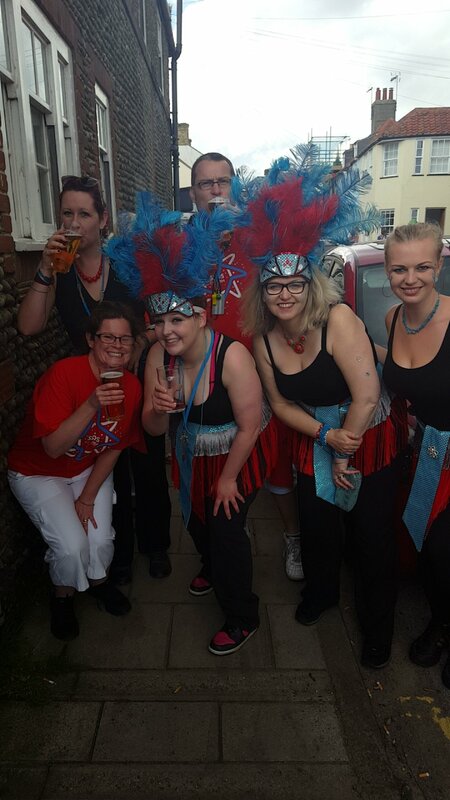 We're a group of non-professional musicians and dancers, from across East Anglia. We love playing music and dancing but most importantly we love having fun. 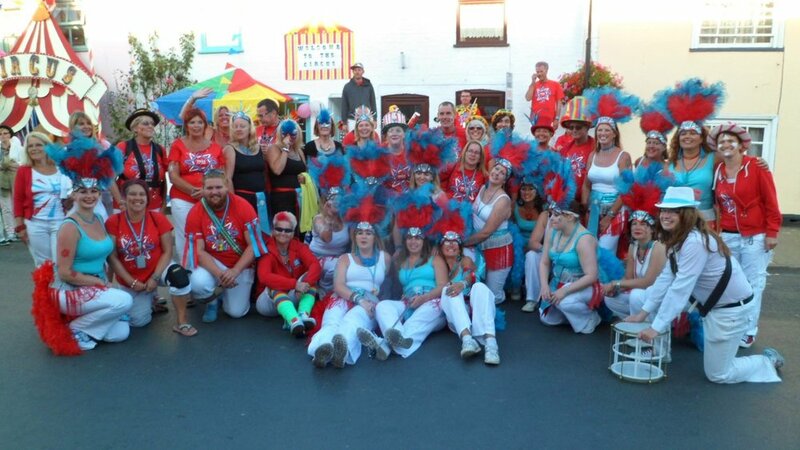 We call ourselves a samba school after the large samba groups in Brazil. 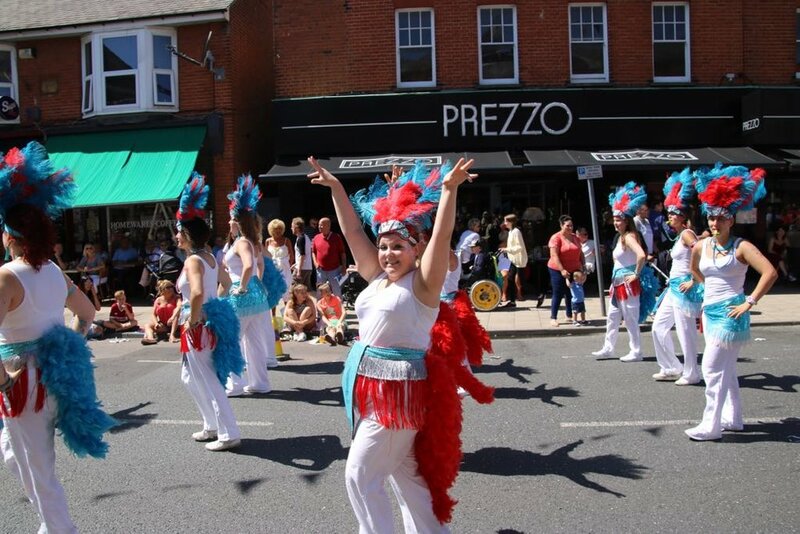 These groups often have thousands of members, and spend all year working towards a carnival where they compete against other schools in the area. 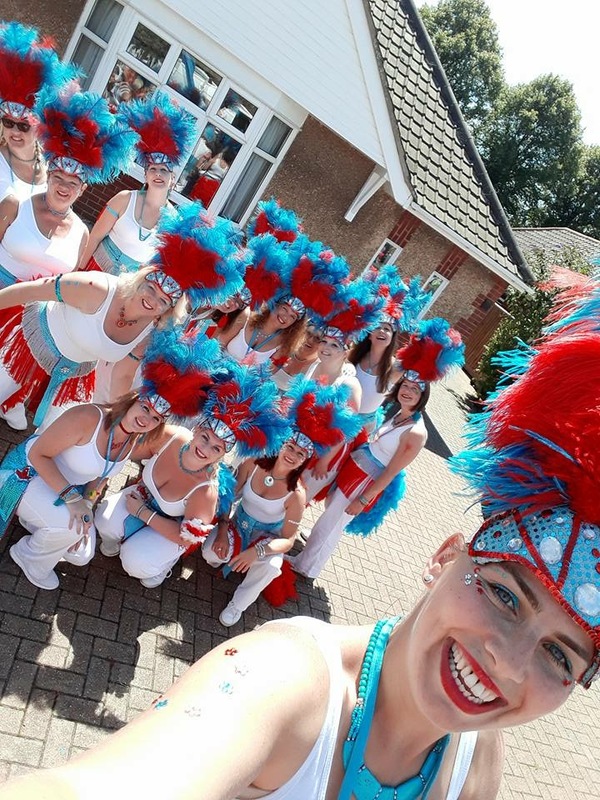 We're not that big, and we're more likely to perform in Brandeston than Brazil - but we do have lots of members and work towards small and large performances, including carnivals, each year. Like the groups in Brazil, most of our members aren't professional performers. 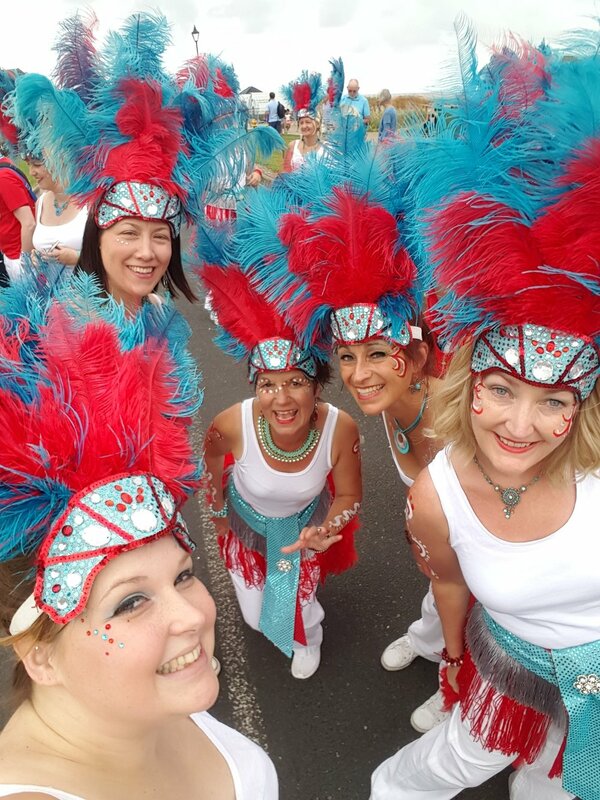 They're people who fancy having a bit of fun and making some great friends and oftern haven't danced or drummed before. We play at all sorts of events, big and small. We hope to see you at the events and you enjoy our music and perhaps join us in a dance ……………. We're always looking for new people to join us. Just drop us a line! Oli Watts - Co. Sec., Jane Wharton, Jane Wollard, if you wish to contact any of us please use the contact us form below. We love to hear from people, whether it's about joining us or getting us to perform for you. Since our beginnings in 1994, we've performed to tens of thousands of people - could the people at your event be next?